Get serious about gaming, and get $1,200 worth of gear totally free. 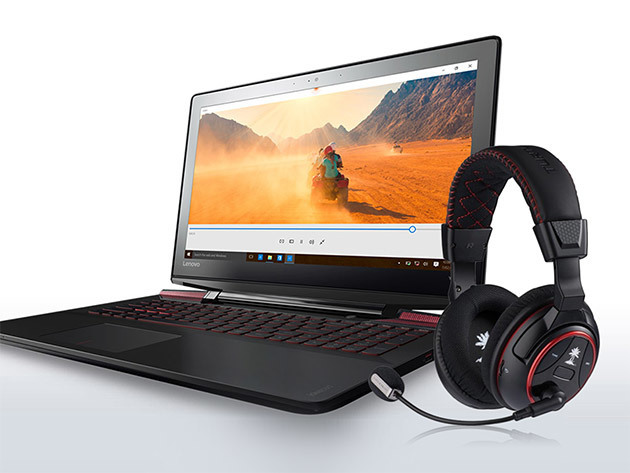 Enter to win the Lenovo Ideapad Y700 laptop and the Turtle Beach Ear Force Z300 headset at SitePoint Shop. The 15-inch Lenovo Ideapad Y700 laptop is perfect for gamingâ€”equipped with quad-core power, amazing graphics, a touchscreen, and surround sound, it’ll keep you totally immersed in the gameâ€¦and thermal cooling ensures zero interruptions. pop the Turtle Beach Ear Force Z300 headset on your ears and you’ll get 15 hours of use on a single charge, plus Bluetooth technology so you can answer a phone call without hitting pause. For a chance to win, just head over to SitePoint Shop and submit your email address by May 10th. Share it with your gaming buddies, and youâ€™ll even get an extra entry for yourself every time they enter the giveaway using your referral link. Okay, now pause the game you’re currently playing just long enough to enter to win at SitePoint Shop!